Dakotans. It fails this state on two fronts and I hope our congressional delegation will put our interests ahead of their party's when they mull this proposal and make a decision on it. The big-picture economic considerations are certainly a factor, but in both the long- and short-runs, South Dakotans get hurt by this idea. The first impact of this tax will be on us consumers. The plan is to slap an immediate 20% tax on all foreign imports. That to me is crazy on the face of it because of who will take the hit. Attention Wal-Mart shoppers, you'll be feeling it in your wallet right away--and that goes for retail consumers across the board. It's little wonder that the National Retail Federation is crying "foul" over this proposal, claiming that it could cost the typical American family as much as $1700 hundred a year. 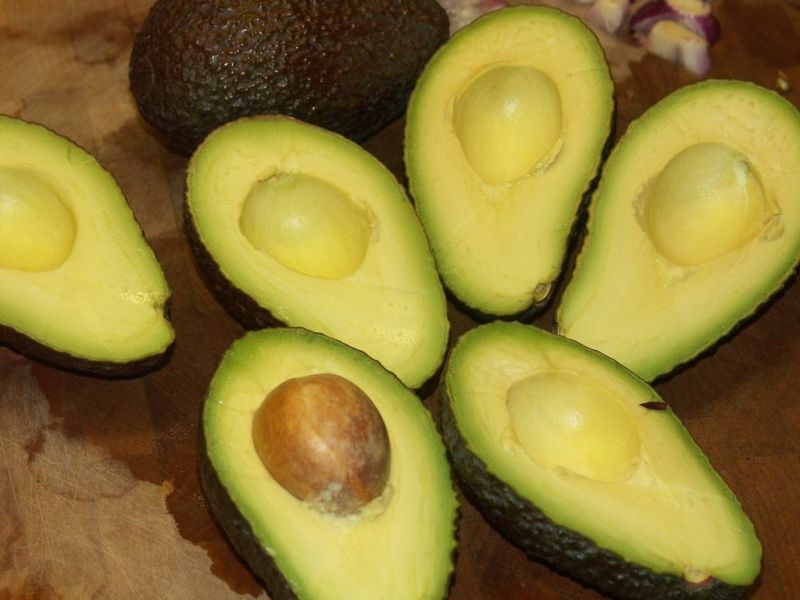 Analyses that I've read consider that a stretch, but nobody disputes that consumers will be shelling out more money for the products they buy on a day-to-day basis. Every shopper in town knows that their households are loaded with imported food and other retail goods. For a state like South Dakota, where median incomes are slightly below the national average while the cost of living is slightly above it, consumers will feel--if not entirely understand--the pain induced by this gratuitous tax on them. the BAT, according to The Tax Foundation, "will have an impact on the U.S. Dollar, resulting in an increase in its value." The American Farm Bureau--already uneasy about the Trump administration's immigration reform plan affecting the currently strained agricultural labor supply--said last week that it is "still studying" the adjustment tax and "wants to make sure it doesn't roll over into a trade situation and cause a trade war that would not be good for anyone in agriculture." I'm quite a bit less circumspect because an appreciating dollar has never been good for exporters in this country, ag producers or otherwise. Considering that it looks like the immediate reason for this proposal is to make up for revenues to be lost by the Trump administration's plan for cutting corporate income taxes, I'd say it's a bad deal. Long run projections by economists believing that all will fall into place somewhere down the road don't convince me that the immediate dislocations are worth the risk of imposing this tax, which takes aim at the little guys first. bi-partisan board empowered to investigate charges of official misconduct in state government goes to a committee hearing that day. Its fate is a test of our SD government's commitment to pursue the intent of the voters when the legislature and Governor Daugaard quashed a law (Initiated Measure 22, an omnibus campaign and government reform measure) passed by the people last November. In their cavalier revocation of IM 22, government officials repeatedly--and independently of final judicial affirmation--called IM 22 "unconstitutional" and vowed to propose a set of laws that would reflect voter intent. House Bill 1076 is one of those measures. Conceptually it does answer the crying need for some sort of accountability enforcement structure in state government, a need highlighted in recent years by the twin and tragic (suicides and murders were left in their wakes) fiascoes of EB-5 and Gear-Up. The first involved investment money from foreigners seeking American residency, costing the state more than $100 million according to the Center for Immigration Studies. The second was a badly managed educational opportunities program that diverted millions of dollars from its intended recipients. Since then it has become clear that SD Government needs oversight, needs it badly, and needs it now. The Center For Public Integrity ranks us 49th on the integrity scale, a status that became disturbingly obvious during the state legislature's kid glove investigation of the EB-5 mess, in which the chief perp Joop Bollen wasn't pressed personally, but allowed to provide written answers to written questions. That joke of an official examination was at least partially ameliorated in recent weeks when SD Attorney General Marty Jackley successfully prosecuted Bollen, gaining a felony conviction for at least one aspect of Bollen's involvement in the EB-5 money machine. 49th Worst In The U.S.
under whose noses he was able to scam the state, that a satisfactory conclusion may never be reached. The accountability board envisioned by HB 1076 would probably make it tougher for future EB-5s to materialize. That it "may" (according to the language of the bill) instead of "shall" refer alleged violations to state or local prosecutors weakens it a bit. But just having the board in place would be a start toward enforcing integrity in South Dakota government. Rejecting this opportunity to do so will be a signal that our political class has no intention of finding a way to police itself, at least not now. Four Republican senators were having a good time sporting their mock gold watches in Pierre yesterday. They were handed out as a Valentine's Day treat by a lobbyist. The watches might or might not be a joking reference to the fact that gifts to legislators from lobbyists were a central theme of Initiated Measure 22, the campaign and governing reform bill that won at the polls last November. It was effectively repealed in South Dakota's legislature by House Bill 1069, which was immediately signed by Governor Daugaard. For some background, each Senator's district passed the measure by margins surpassing the statewide victory margin of 51.6%. Nevertheless, just saying "no" to their constituents, all four of the senators voted to repeal IM 22. I Thought SD Politicos Already Knew The Will Of The Voters. So What's Up With A Task Force Assigned To Find Out The Same? campaign and governing procedures, he was unequivocal about one thing. Said the Governor upon signing House Bill 1069, effectively repealing the law put into place by a majority of voters: "I will work with legislators to honor the will of the voters." Our collective decision as expressed at the ballot box is utterly irrelevant to our governing class, so they've taken it on themselves to write a spectrum of laws that they believe are more closely aligned with what they deem to be "the will of the voters." Or have they? Sure, about a dozen or so bills are in the hoppers of both houses that are connected to government reform. The 2-year hold on lobbying activities by officials exiting government is a nice one to see, as is the thinly (mostly Democratically) sponsored bill establishing a government accountability board. Progress on that one (HB 1076) will be a true test of Pierre's resolve to honor the voters' will. Others seem vague and limited in effect--about what you'd expect from legislators who write laws that will affect their longstanding operations. One example? In the spirit of reform (and redundancy--isn't there already a law like this in place? ), Senate Bill 27 makes it a crime for public officials to take any actions that "result in a direct financial benefit" to themselves, which I think leaves the door open to "indirect" financial benefits being okay. Even casual students of the English language would understand that a word like "direct" can be subjected to a wide range of interpretations and legally-parsed manipulation. Another example? House Bill 1073 keeps IM 22's $100 gift limit from lobbyists to elected officials intact, but (as Aberdeen blogger Cory Heidelberger's excellent analysis notes) waters down the voters' intent by restricting fewer recipients, leaving out altogether legislative and executive staffers. And, oh yes, meals with beverages costing up to $75 don't count as gifts. Bon apetit! Does Anybody In Pierre Even Care? creep into the conversation, there's also a stalling device to liven up--maybe "deaden" is a better way to put it--the discussion. Similar bills in both houses (SB 171 and HB 1141) will set up a task force to study government accountability and report back to Pierre in time for next year's legislative session. Both bills envision a task force consisting of government officials and a small number of hand-picked (by them) state residents. The House bill calls for the state Chamber of Commerce to have a seat. 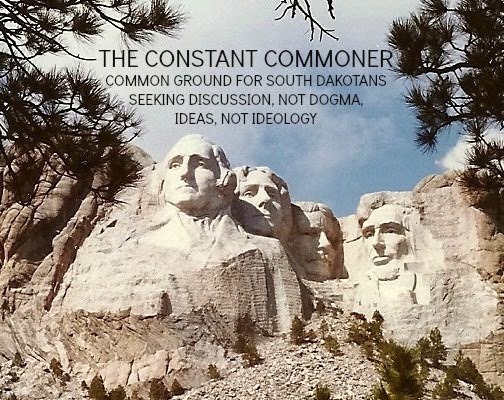 Nothing against the Chamber, a great organization of which I am a long-standing member, but the representation on these proposed task forces doesn't reflect much in the way of a broad swath of South Dakotans. It looks to me like the only task this force, laden with entrenched state officials, is likely to undertake is finding a way to sustain the status quo under the guise of "honoring the voters' will." it notwithstanding, that's exactly what happened yesterday when Daugaard signed a bill (House Bill 1069) into law, essentially invalidating an Initiated Measure (IM 22) that South Dakota's voters passed last November. The measure was a drastic reform of campaign and governing procedures in the state that was widely discussed and debated for months before the election. Overall it was a draconian overhaul of the status quo, limiting lobbying expenditures, creating an ethics commission and putting a public financing of campaigns component into state election procedures. That last bit caused me to vote against the measure, but nearly 52% of voters believed that it was a good thing, so the measure carried. The reaction in Pierre was reflexive and dismissive. Of course you'd expect an entrenched political class to react in horror to a change as sweeping as IM22. But what caught naive observers (like me, I guess) off guard was the utter rejection and dismissal of the state's official claim to be the place where "under God the people rule." 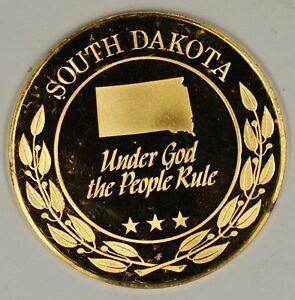 Apparently that ethos doesn't mean much, and I certainly suggest that the Governor and the legislature expunge it from all official South Dakota insignia, lest we become even more of a laughingstock in the national conversation about this event. South Dakota, the first state to adopt statewide initiatives and referendums (in 1898), has a historic commitment to its belief that the people rule. It took nearly 120 years for that resplendent imperative to get wiped out. Trickle-up democracy just got swamped by an avalanche of official contempt for the voice of the people. of reforms that they believe are more consistent with what the voters have in mind. 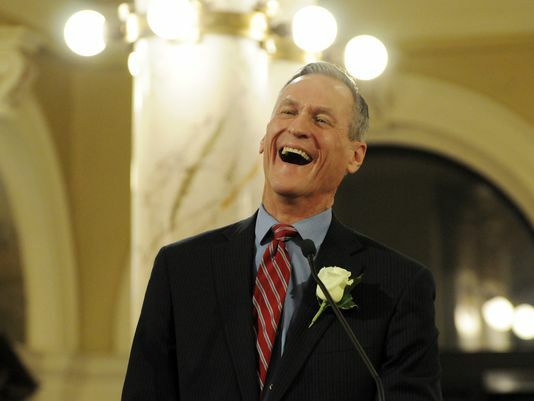 Daugaard says that "he and the legislators will work to honor the will of the voters." I wasn't aware that divining what voters are thinking is part of the Governor's job description, but given the collective arrogance of this enterprise, I'm not surprised to hear that he and his supporters actually believe that voters were thinking one way and voting another. Considering that the reforms Daugaard must have in mind will apply to those who are affected by them, I'd have to say that Daugaard's intent may be good, but the follow-through will be a waste of time. I'm looking forward to doing a point-by-point analysis of the reforms that come from a political cast of characters who reject the notion that in South Dakota, the people rule. Prove me wrong, South Dakota pols.